Jill Guest, UKCP reg. Psychotherapist, Certified Transactional Analyst (P) and MBACP Counsellor. Jill qualified as a Certified Transactional Analyst from The Berne Institute in 2017. As well as a qualified Psychotherapist, Jill is a qualified British sign language interpreter, graduating in 1999 from Wolverhampton University with a BA (Hons) Degree in Deaf Studies and Psychology and in 2004 graduated with a PgDip in BSL/English Interpreting from UCLAN/SLI. Jill has worked in various roles, as a Care Manager within a Deaf Services Team, as a Communication Support Worker in colleges and universities, as a Sign Language Teaching Assistant with Key Stage 1 and 2 children, an A1 Assessor and in different domains as a BSL/English Interpreter. As well as the above, Jill holds a CPCAB Diploma in Relationship Counselling with The Relate Institute and a diploma in Transactional Analysis (Psychotherapy), having trained and completed four years clinical training in Psychotherapy. 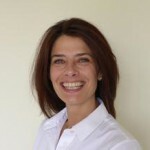 Jill has also trained with The Wealden Institute, The Berne and is a member of BACP, UKATA, UKCP and EATA and adheres to their ethical frameworks. Jill worked at Relate in Hampshire and has been a volunteer counsellor at the University of Winchester, YMCA Surrey, and NHS (SLAM). The philosophy of Transactional Analysis is that People are OK; Everyone has the Capacity to think; People decide their own destiny and these decisions can be changed. This philosophy underpins Jill’s work with clients. Jill also incorporates Mindfulness into her practice. Jill has now retired from interpreting. As her work as a Psychotherapist with Deaf and Hearing clients increased, she was aware of the ethical issues and boundaries and as such made the decision to work with Deaf people as a therapist rather than as an Interpreter. Jill now divides her time between her thriving private practice in Wimbledon and her part-time role as a therapist within the NHS.